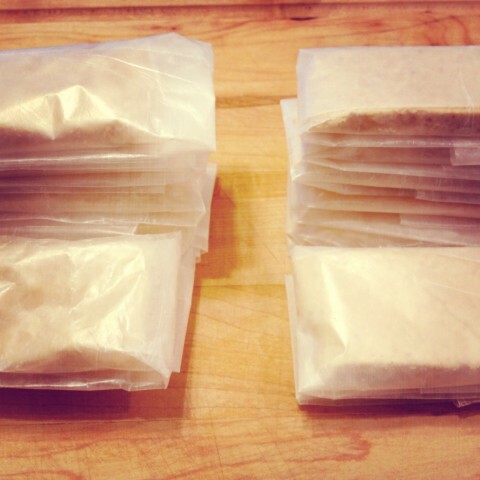 His and hers coconut crack bar treats. One batch with agave syrup (for her) and one batch for peanut butter (for him). Both with loads of coconut flakes & coconut oil. All sorts of yummy! 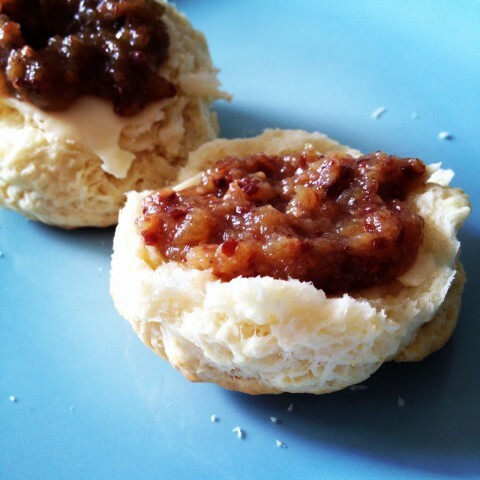 Homemade biscuits (made with coconut oil instead of shortening) and some tasty bacon jam (not homemade). Be still my heart. 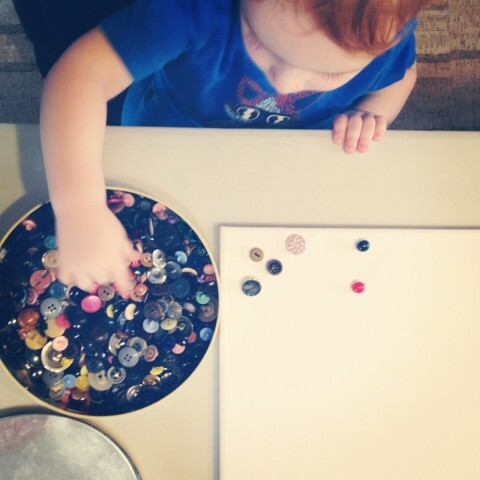 Our little man making his first button art project. 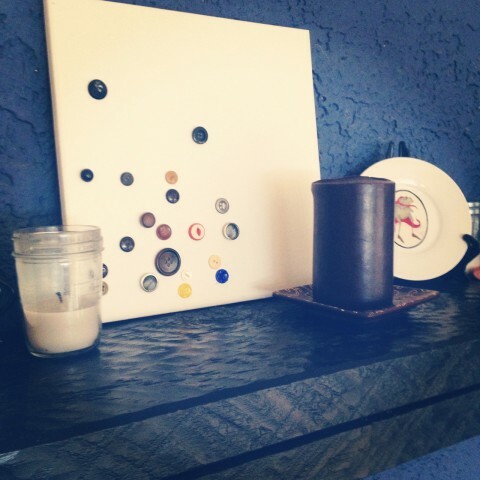 Sam’s completed button artwork, perfect on the mantel. 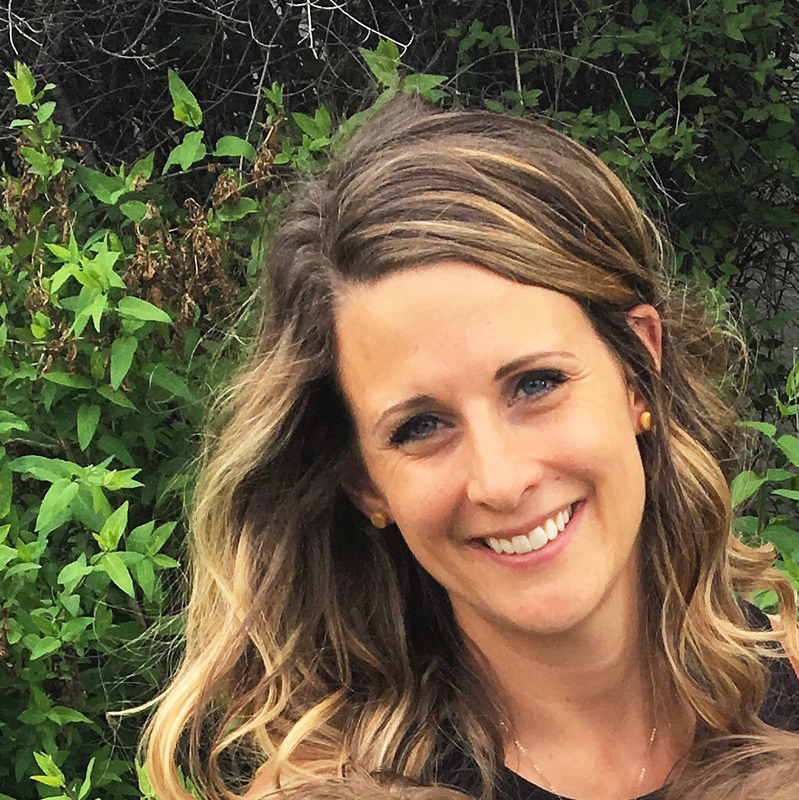 One proud mama.